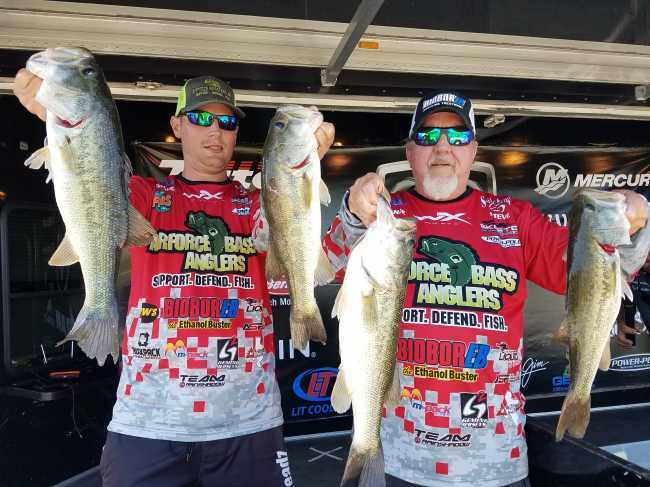 Steve Jarrett & Michael Schnupp hold the first place spot after weighing in 17.69 pounds on Day One of the ABA Military Team Bass Tournament at Lake Hartwell. “We fished similar types of water that we fish in Florida in these same conditions, minus the grass of course. We were very fortunate to have such a good day after a terrible practice,” said Schnupp. 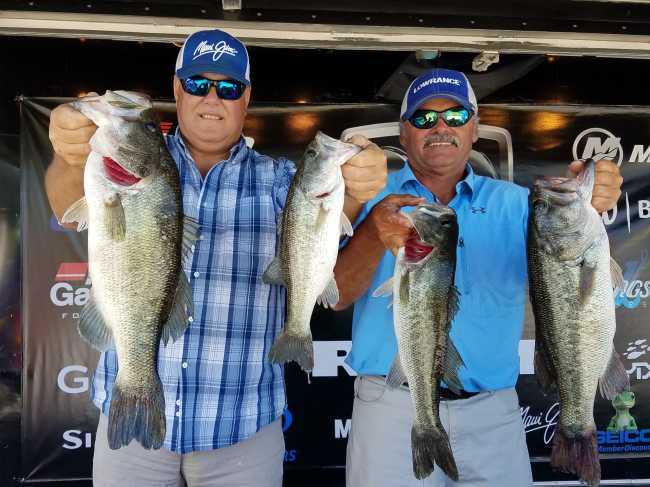 The team of Mitchell Oldnettle & Len Lindahl hold the second place spot after Day One with 17.15 pounds, including the day’s 5.18 pound Big Bass. “We threw the basic baits and we hit every point that we came across, burning 24 gallons of gas today. Our biggest bass of the day was caught on a Texas-rigged Zoom plastic bait,” said Oldnettle. Complete Day One results can be found at this link. The military teams blast off for Day Two at Green Pond Landing in Anderson, SC at 6:00 AM on Thursday, May 11th. Weigh in will also be at Green Pond Landing beginning at 3:00 PM. The annual ABA Military Team Bass Tournament is an exclusive event for current and former service men and women of our armed forces. 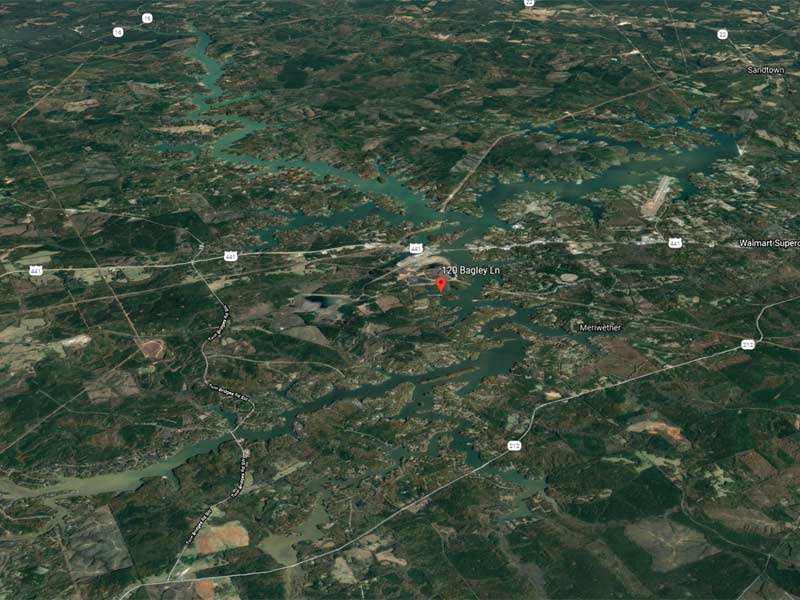 Teams from 14 different states came from across the country to compete for bragging rights and cash payouts at Lake Hartwell this week. This event has been hosted by Visit Anderson and Anderson County. 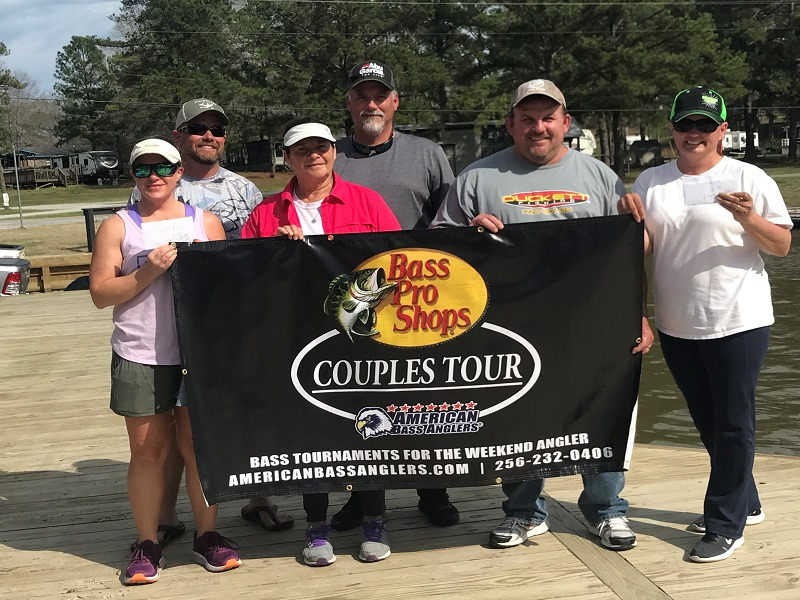 American Bass Anglers, Inc. is supported by Ram Trucks, Triton Boats, Mercury Outboards, Carlisle Tires, GEICO, Berkley, Abu Garcia, T-H Marine, Livingston Lures, Best Western Hotels, Maui Jim, Power Pole, LiT Coolers, Simms, Garmin, and Divide-It. American Bass Anglers, Inc. can be contacted at (256) 232-0406 or by visiting americanbassanglers.com.